Fall Baseball – sharpen your baseball skills and have fun playing games! We encourage all TPLL players to continue with baseball in the fall through our Fall Baseball program. This year we will offer games for Majors and Minors players, and professional coaching plus scrimmages for Double A players. All games are on Sundays allowing for flexibility with other sports and activities. Professional coaches stay during scrimmages to give input to players and AA coaches. 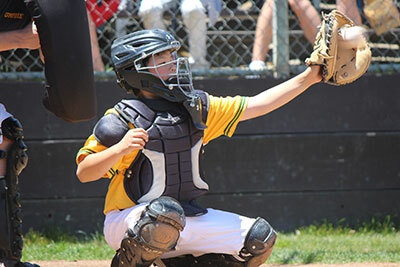 Sunday games – Fall Ball teams will play other District 3 Fall Ball teams at Strawberry and other local baseball fields. Optional midweek practice – Coaches will schedule one day of practice at the Granada batting cages each week. $225 for the 2018 season, with registration by 8/1. The fee increases to $250 for registrations from 8/2 – 8/31. Fee includes a TPLL hat and reversible jersey. Double A (kid pitch) – For the player who has finished 1 year of Rookie Minors (pitching machine) and will be moving up to Double A in Spring 2019. Minors – For the player who has completed 1 year of Double A or 1 year of Minors and will be playing Minors in Spring 2019. Majors – For the player who has completed 2 years of Minors or 1 year of Majors and will be playing Majors in Spring 2019. TPLL kids who umpired in the 2018 spring season are eligible to get paid as umpires for Fall Ball. At the end of August, our Umpire in Chief will send out a Sign Up Genius for all home Majors, Minors and AA games. We will need Home Plate umps only, and all games will be held on Sundays.